Relax. It's just a scratch. The Asian woman walking away says it all. The Female version of Jerry Newman. 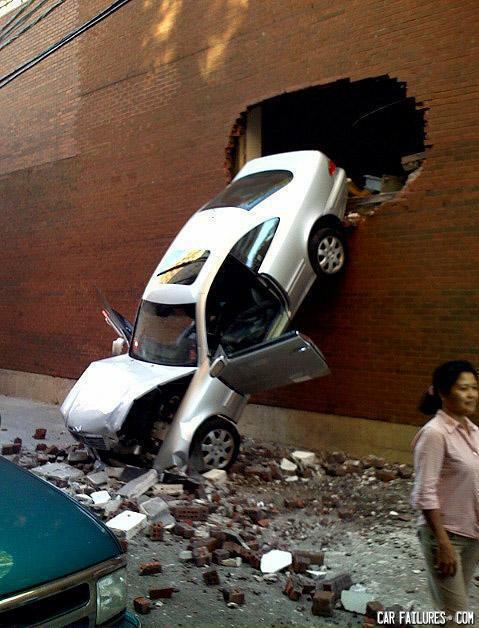 Going to need to call Jessica up of State Farm. "...well the 'exit arrow' was pointing this way..."
"DON'T PUT IT IN DRIVE!"...... "don't what??"... "PUT IT IN DRIVE!"...."OK!" Building not like car! Building spit car out! Damn. gLadOs told me that was the right portal! Reminds me of a South Park episode.